France’s biggest bank outdid forecasts with a 17.5 pct rise in first-quarter net profit to 1.6 bln euros. Yet BNP Paribas failed to grow its capital ratios. French banks aren’t yet under regulatory pressure. But with peers stronger, investors may require higher levels. 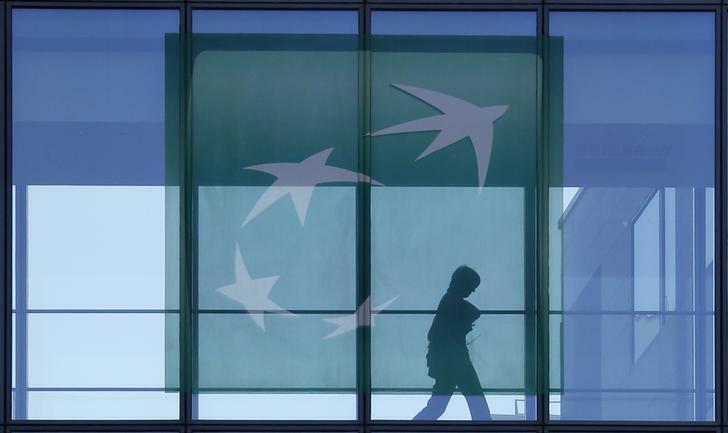 BNP Paribas on April 30 reported a 17.5 percent rise in first-quarter net profit to 1.65 billion euros ($1.83 billion), as stronger investment banking revenue helped it beat analyst forecasts for 1.46 billion euros in profit. The French bank makes a fifth of its revenue in dollars, so the rise in the greenback to a 12-year high against the euro helped its top line rise 11.6 percent. However, the currency effect helped push its gross assets up 15 percent from the end of December to 2.4 trillion euros. Revenue in corporate and institutional banking rose 24 percent versus the same period a year ago. A slight top-line fall in corporate banking was more than offset by a 29 percent increase in capital markets revenue. This was only up 15 percent on a constant currency basis, with fixed income revenue up 16 percent and equities revenue up 14 percent. Revenue in BNP’s retail and private banking businesses in Belgium was up 6.2 percent year-on-year, but it fell 2.2 percent in France and 2 percent in Italy. BNP’s leverage ratio fell 20 basis points to 3.4 percent from the end of December and its common equity Tier 1 ratio was flat at 10.3 percent. The bank’s result was impacted for the first time by a payment to Europe’s Single Resolution Fund, a pot of money to help wind up failed lenders across the euro zone. BNP’s contribution was 245 million euros in the first quarter. Shares in BNP were trading 1.5 percent lower at 56.47 euros by 1025 GMT.